Cognitive Behavioural Therapy is one of the most commonly used psychological therapies. It is a collaborative, goal-focused intervention which helps clients to: i) better understand how beliefs, thoughts and behaviours affect feelings and physical symptoms and ii) change thoughts and behaviours so as to improve emotional well-being. CBT theory suggests that personal experiences (often in childhood) can lead to negative views of ourselves, the world and other people. In certain situations these beliefs trigger negative thoughts to automatically pop into our minds, causing a downward spiral in mood. During CBT clients are helped to identify, record and challenge unhelpful or inaccurate thoughts (for example “perhaps he didn’t see me”). Effective strategies for managing difficult feelings and unpleasant physical symptoms are also taught including relaxation strategies and paced goal setting. Practical ‘behavioural experiments’ are also important in CBT; these give opportunities to systematically test out predictions in real life scenarios. Emily is a Cognitive Behavioural Psychotherapist. She has worked within NHS services for many years with both adults and children who experience a broad range of psychological difficulties. Emily holds a Postgraduate Diploma in Cognitive Behavioural Therapy from the University of Oxford. Alongside her private practice, Emily works as a Cognitive Behavioural Psychotherapist for digital therapy providers Healios and IESO, and also supervises other therapists. Emily holds an enhanced DBS check and has Full Accreditation with the British Association for Behavioural and Cognitive Psychotherapies (BAPCP). Emily is experienced in working with young people and adults who have mild to moderate difficulties with their mental health including depression and anxiety disorders such as OCD, health anxiety, social anxiety, phobias, panic, low self esteem, worry, and PTSD. She has also worked within substance misuse settings with those experiencing problems with addiction. Emily believes that that trust and rapport is a vital part of building a solid base for therapy and a platform for change. She aims to cultivate an open, supportive and safe environment where client and therapist can explore and learn from experiences together. She incorporates elements of solution focused therapy, motivational interviewing, and mindfulness based techniques alongside Cognitive Behavioural Therapy (CBT). Sessions are up to 50 minutes long, weekly and usually the same time each week. My fee is £65 per session. I also offer Skype/phone appointments. This entry was posted in Uncategorized on January 1, 2018 by Doug Swift. I offer short-term counselling which provides a safe, caring and confidential space to explore what’s going on in your life – be that a particular issue or a general sense that things are not quite as you’d like them to be. It is also a creative partnership between us, where we can work together to explore both what is troubling you and your potential in life and to support you to find a sense of freedom to be your true self. I have experience of helping clients with a range of issues, including anxiety, depression, disconnection and loneliness, relationships, low self-esteem, loss, and addictions. I am currently in the final stages of a professional training in therapeutic counselling from the Bath Centre of Psychotherapy and Counselling (BCPC). I hold BCPC’s Foundation Certificate in psychotherapy and counselling, and am currently undertaking the final research for a Diploma in Humanistic and Integrative Counselling, which is accredited by the British Association for Counselling and Psychotherapy. I offer counselling in 12-week blocks and charge a reduced rate of £25 per session until qualification (expected mid-2018) and offer an initial meeting at half this price which is an opportunity for us to find out about each other and decide whether working together would suit you. I work in counselling rooms on Cheltenham Road, Bristol. Please email, text or call if you are interested in exploring the possibility of working together – I’d love to hear from you. This entry was posted in Uncategorized on November 14, 2017 by Doug Swift. According to the DSM-V (2013) clinical depression refers to the loss of interest or pleasure in daily activities for more than 2 weeks. It always impacts the feelings, thoughts, behaviour and the mood. People with symptoms of depression experience psychological (thoughts), physical (feelings), and behavioural (mood) issues which are constant and painful almost all the time. By having clinical depression those systems are highly affected and because they are connected with each other, the vicious cycle of a situation without an exit continues to exist until the person is totally exhausted and helpless. It is not only the feeling of sadness and loneliness, it is also the inability to experience positive thoughts and emotions which makes people with depression isolating and being distant towards others, hiding in their own inner world. Deactivating or decreasing the connection and communication with others and experiencing such negative emotions and thoughts can lead to suicide attempts and self-harming behaviour. Because of those issues, finding different ways of dealing with depression is of a high for people’s psychological and physical wellbeing. Today various clinicians, scientists and service users are trying to find a way out of this “trap”, combining different evidence based approaches by decreasing the symptoms and making the person more adaptive and capable of dealing with their emotions, difficulties and stress in a healthier way. Different guidelines like the NHS, NICE, IAPT, The Mental Health Act etc. suggest various evidence- based models and techniques for overcoming the symptoms. But regardless of the approach, they all have one thing in common – the activation of people’s behaviour by making the person engaged with different exercises and commitments. The aim of this essay is to discuss the effects of different exercises on depression and also to outline some of the positive impacts of exercise on the psychological and psychical wellbeing. According to the Diagnostic and Statistical Manual of Mental Disorders (DSM-V), fifth edition (DSM-V, 2013) and the International Classification of Diseases and Related Health Problems (ICD-10), version 10 (ICD-10, 2010) there are different types of depression: Disruptive Mood Dysregulation Disorder, Major Depressive Disorder, Persistent Depressive Disorder, also called Dysthymia, or mild, moderate and severe depression with different criteria, duration, timing, aetiology and severity of functional impairment. This impairment must be present for at least two weeks and must represent a change from the person’s daily routine or baseline in his social, occupational, educational and personal life, with specific symptoms that are present nearly every day. Depression is fairly common, affecting about one in ten people at some point during their life (NHS, 2016). The treatment can involve a combination of medication (such as SSRIs) and psychotherapy. terms of depression means that the individual is less active and less socially engaged but much more anxious, worried, thoughtful, sad, tearful and melancholic; the less they do, the less they want to do This is of big significance, because when experiencing such strong overwhelming symptoms, levels will decrease and motivation and enthusiasm will go down, making the person more tired, with activity levels that are below their previous performance. This can also lead to augmentation in the use of alcohol, cigarettes and caffeine, as well as substance misuse. Experiencing guilt and re-thinking the past are inner mechanisms indicating the risk of “tunnel vision” and not-being capable of living in the current moment. This is why when talking about depression the focus is always on the past and not on the future. The levels of enjoyment from life will decrease and the person will regress into the past. This is because of the negative focus and the cognitive distortion that “everything is black” and there is no escape or light, meaning no positive thoughts and experiences, reduced confidence and capability of resolving the personal issues and increasing the negative automatic thoughts and the low mood. Because of the vicious cycle of those negative thoughts, feelings, behaviour and mood, the only way to get out of it is by changing those systems and breaking the previous model of learned behaviour. If not, those experiences will repeat over and over again – even with different situations, people and circumstances. (Beck, 1991). Breaking the previous ineffective coping strategies and using new ones instead is the focus for lots of psychotherapy treatments and approaches. For example using distractions in the cognitive- activity behavioural therapy, as a new model of behaviour can regulate the emotions, decrease the negative thoughts and gain a better self-image and self-esteem. Exercising in a good way of distracting and keeping the focus on something else, being more self-reflective and engaged. Much research (Gilbert, 2009; Myles, Shafran, 2015; Beck, 1991; Bellow, 2014 etc.) is concentrated on finding the tools and techniques to influence those systems by making the person more adaptive, self-reflective and engaged. This is why by using cognitive behavioural therapy (an evidence based treatment for depression) the focus is on the behavioural activation and the activation of the inner strength using exercise as a baseline for commitment, achievement and motivation. Talking about exercise it is very important to describe what exactly this means. In terms of psychotherapy, exercise is every behavioural act that helps the person change his model of behaviour and activates his coping strategies. This could include physical high-energy or low-energy exercises, painting, playing, cooking, participating in different classes, volunteering, writing, reading etc. This could also have an impact on the physical symptoms (sleep problems, muscle retardation or tension, psychomotor agitation, change in appetite, high blood pressure, headache etc. ), on the cognitive system (negative thoughts, low motivation and concentration, cognitive dissonance, high frustration levels, lack of focus and cognitive distortions) and on emotional regulation (feelings of anger, fear, guilt, anxiety, loneliness, worthlessness and hopelessness). The reduced willingness of participation in different activities may be explained with those distortions. This is why being depressed can leave the person feeling tired, with lack of interest in the world and with low levels of energy. According to the NHS (2016), regular exercise can boost mood, and is especially useful for people with mild to moderate depression. It is important to choose something that the person enjoys, otherwise – it will be hard to find the motivation to do it regularly (NHS, 2016). Even 15 minutes exercise a day can clear the mind and relax the body. NHS advises that any exercise is better than none, this is why they give activity guidelines for adults from 19 until 64 years old and for 65 and over. There are also exercises on prescription from the GPs for people who are not sure what type of activity they should join or for those who have not exercised for a long time. The National Institute for Health and Care Excellence (NICE) recommends for people with depression to participate in about three sessions of physical exercises a week for 45 up to 60 minutes for over 10 to 14 weeks (NICE, 2016). By making this commitment, the motivation as well as the cognitive system will have a goal that must be achieved. Starting with easier exercises like walking, cycling, shopping, doing housework etc., the person will be motivated to continue, will have a goal and will see a real achievement from it. This can also be a trigger for including other activities which are more difficult, like yoga, meditation, joining fitness classes or volunteering. This will reduce the stress levels and the frustration. It could also make the individual more connected with others, which is the opposite of the desire for isolation and hiding from the world by depression. Connecting with others will increase the self-confidence and self-esteem, and will break the vicious cycle of negative thoughts and emotions. By setting a goal such as starting exercise and by making this a new model of behaviour, low mood will improve and the depression symptoms will decrease (Beck, 1991; McKay, Wood and Brantley, 2007). An article by the Mayo Clinic (2014) gives an interesting point of view on the positive effects of exercise on depression and anxiety. The article outlines the improvement of psychological wellbeing and the decrease of depressive symptoms after starting physical exercises. Some of them are the releasing of eurotransmitters, endorphins and endocannabinoids – also known as the feel-good chemical. Endorphins and endocannabinoids also trigger a positive sense and feeling in the body similar to morphine. This can also explain their impact on the perception of pain (analgesic) and the sedative effect. Some theories also examine nor epinephrine as a neurotransmitter which has a direct impact on the mood by improving it. Some other advantages are: the increasing of temperature, which has a calming effect; the increasing of acetylcholine, serotonin, nor epinephrine and dopamine, which are responsible for the improvement of the memory, movement and the regulation of sleep, appetite and mood; the decreasing of blood pressure, which has an increasing effect on energy levels and a reduction in the number of negative thoughts, which can improve concentration and focus and also interaction with others. The same result was found in a review of studies starting in 1981 from the Harvard University (Harvard.edu, 2009). This shows that with regular exercise, the symptoms mild to moderate depression can be improved. There has been evidence that it may also play a supporting role in treating severe (major) depression (Kaplan and Sadock, 2002). Giving an account of the intensity the symptoms, the duration of the depression and the level of exercise – meaning high-energy such as aerobic exercise or resistance training (i.e., weekly expenditure of at least 17.5 kcal per kg) or low-energy exercises such as meditation or yoga (i.e., weekly expenditure of 7 kcal per kg or less) – a classification between the various types of exercises nd their effect must be made. Evidence shows the relationship between high-energy exercises and the decreasing of clinical symptoms by all types of depression (Saeed, Antonacci and Bloch, 2010), but to have a more lasting result, a combination of medication and psychotherapy must be considered. Systematic evidence reviews and other subsequent studies showed that aerobic, dancing, climbing, cycling and other high-energy activities have a positive effect on people with mild to moderate depression. Exercise like regular yoga, tai chi and mindfulness have an effective intervention for all kinds of depression treatment as well. This could be explained by the focus not on the past, but on the current moment and situation, but also on the social support involved in practicing such activities. This, with the appropriate medical and therapy treatment, can have a beneficial effect on people with clinical depression. All of the above, with an individual approach and psychotherapy, can lead to a healthier way of dealing with the symptoms, and to using a new, more effective way of problem solving with advantages not only for overcoming clinical depression, but also for the managing of daily issues, difficulties and stressors. Clinical Depression is one of the most painful and isolating mental health issues. Worldwide, people are suffering and isolating themselves from the outer world, in a vicious cycle of negative emotions, thoughts and behaviours. By seeking support and being aware of the possible treatments, this cycle can be broken. Activating the coping mechanisms, learning new ways of dealing with the issues, and gaining a different overview with several other perspectives and options can decrease the symptoms and prevent relapse. Exercises, no matter if they are high-energy or low-energy, are a way of dealing with and overcoming depression. By engaging in pleasurable activities that function as a distraction from the negative thoughts and emotions and making them routine, the person can overcome their difficulties and learn how to deal with them in a healthier way. This is why exercise is now commonly considered as a non-traditional method of treatment for depression, which in combination with psychotherapy and pharmaceutical treatment provides evidence for improving the psychological wellbeing and for preventing from a future relapse. 4. American Psychiatric Association (2013). Diagnostic and Statistical Manual of Mental Disorders, fifth edition. 6. Harvard Medical School. Harvard Health Publications (2009). Exercise and Depression. Retrieved from: http://www.health.harvard.edu/mind-and- mood/exercise-and-depression-report-excerpt; published date: June 2009. (Accessed on 20 November 2016). 9. Institute for Clinical Systems Improvement (2016). Diagnose and Characterize major Depression/Persistent Depressive Disorder with Clinical Interview. Retrieved from: https://www.icsi.org/guideline_sub- pages/depression/diagnose_and_characterize_major_depressionpersistent_depressi ve_disorder_with_clinical_interview/, (Accessed on 20 November 2016). 10.World Health Organisation (2010). International Classification of Diseases and Related Health Problems (ICD), Version 10. 11.Kaplan, H. and Sadock, B. (2002). Pocket Handbook of Emergency Psychiatric Medicine. Williams and Wilkins. 12. McKay, M., Wood, J., Brantley, J. (2007). The dialectical Behavior Therapy Skills Workbook. Practical DBT Exercises for learning Mindfulness, Interpersonal Effectiveness, Emotion Regulation and Distress Tolerance. New Harbinger Publication, Inc.
13.MAYO CLINIC (2014). Depression (major depressive disorder). Depression and anxiety. Exercise eases symptoms. Retrieved from; http://www.mayoclinic.org/diseases-conditions/depression/in-depth/depression- and-exercise/art-20046495, published date: October 2014. (Accessed on 20 November 2016). depression.aspx ,(Accessed on 20 November 2016). https://www.guideline.gov/summaries/summary/39432/diagnosis-and-treatment- of-depression-in-adults-2012-clinical-practice-guideline; NGC: 009575, published date: April 2004 (Accessed on 20 November 2016). 18. National Institute for Health and Care Excellence (2016). Improving health and social care through evidence-based guidance. Retrieved from: https://www.nice.org.uk/guidance/conditions-and-diseases/mental-health-and- behavioural-conditions/depression ,(Accessed on 20 November 2016). 19. Oltmanns, T., Martin, M., Neale, J., Davison, G. (2011).Case Studies in Abnormal Psychology. Ninth Edition. John Wiley and Sons, Inc.
20. Saeed, A., Antonacci, D. and Bloch, R. (2010). Exercise, Yoga and Meditation for Depressive and Anxiety Disorder. American Family Physician; published 15 April 2010; 81 (8): 981-986. 22. Spradlin, S. (2003). Don’t let your Emotions run your life: How dialectical Behavioural Therapy can put you in control, Raincoast Books. This entry was posted in Uncategorized on January 24, 2017 by Doug Swift. Having recently caught the latest cold winging it’s way around Bristol I thought it apt to have a article on how common Cold and Flu Symptoms can be treated with traditional Chinese medicine. The Chinese Medicine doctors categorise Cold and Flu Symptoms into two types. They call these Wind Heat and Wind Cold. The details of each of these aren’t really necessary to go into but it’s good know what approach the therapist is using. The aim of the therapist is to help clear the illness fast and to clear the pathogen. Using Traditional Chinese Medicine for Cold and Flu Symptoms can include many things, this is including herbal Medicine, Chinese Nutrition, Acupuncture and Moxibustion and possibly Tai Chi and Qi Gong. The use of herbal Medicine can include pescribing Ephedra (ma huang), a powerful stimulant that opens the bronchial passages, warms the body, and stimulates sweating. Cinnamon twig (gui zhi) assists the Ephedra in warming the body and promoting a sweat, while apricot seeds (xing ren) help relieve the wheezing. Licorice (gan cao) acts as a harmonizing herb, modulating the harsh nature of the Ephedra, preventing too much sweating and toxicity. Chinese Nutrition might involve miso soup with the white part of spring onion (cong bai) and fresh ginger (sheng jiang). Acupuncture and moxibustion can provide some immediate relief from cold symptoms and help the body expel the pathogen much faster. Needles are typically inserted into points along the lung and large intestine meridians, which have demonstrated the ability to activate immune function. Patients frequently experience quick relief when the point is needled or massaged. Typically, one or two acupuncture treatments and a week’s course of herbal medicine are all that are required for colds. If the symptoms are recognized and treated early, it is possible to fight off a cold in a day or two with acupuncture treatment and herbs. This entry was posted in Uncategorized on March 1, 2016 by Doug Swift. It’s pretty hard for anyone to think badly about going for a massage. Regardless of the reason for the massage therapy, the benefits seem obvious. Even if it is just for an hour down time. However, until recently, very few studies have been carried out looking at the actual benefits that massage therapy can have on someone. The study was carried out by the University of Illinois in Chicago. They were primarily looking at how massage can affect someone post exercise and whether recovery can be improved from the massage therapy. For me, this part of the study is a decade too late, almost every sports team in the country will now have someone performing massage therapy on the sports people. For professional sports people and athletes it will be part of an almost daily routine. They have found out the benefits themselves so use it because it works. Now before I talk about the surprise findings, lets talk about what these benefits are. It’s all well and gone throwing around the word benefit, but lets be more specific. With this study what they found was people who had massage post exercise could reduce there muscle soreness from 24 hours post exercise to about 90 mins. An amazing result. They also found that sore muscles reduced blow flow in those affected areas and the massage therapy helped increase blood flow. The study continued to find that the massage not only had positive effects in those locally affected area but also in the body overall. What the study also did was set up a massage only control group, therefore no exercise but the same regular massage. This group shows almost identical improvements in circulation compared to the exercise groups. the effect also lasted for several days. This benefits means that massage therapy can be used as a protective treatment as well as treating symptoms. So what we can draw from he study is Massage can benefit anyone, improve how their body functions and improve quality of life. It’s not just for athletes but everyone. This entry was posted in Uncategorized on February 2, 2016 by Doug Swift. A recent study looked at the effects of Tai Chi for inflammation and whether it can, combined with other interventions can help reduce it. The study also looked at how sleep could effect inflammation too. Inflammatory processes occur throughout the body, with a primary function of promoting healing after injury. However, when too active, these inflammatory processes can also damage the body in many ways, and may contribute to heart disease, stroke, certain cancers, and other significant medical problems. What the results showed was that the group receiving CBT helped with the insomnia and had a knock-on effect of helping with inflammation in the body. This effect continued throughout a 16 month follow up. 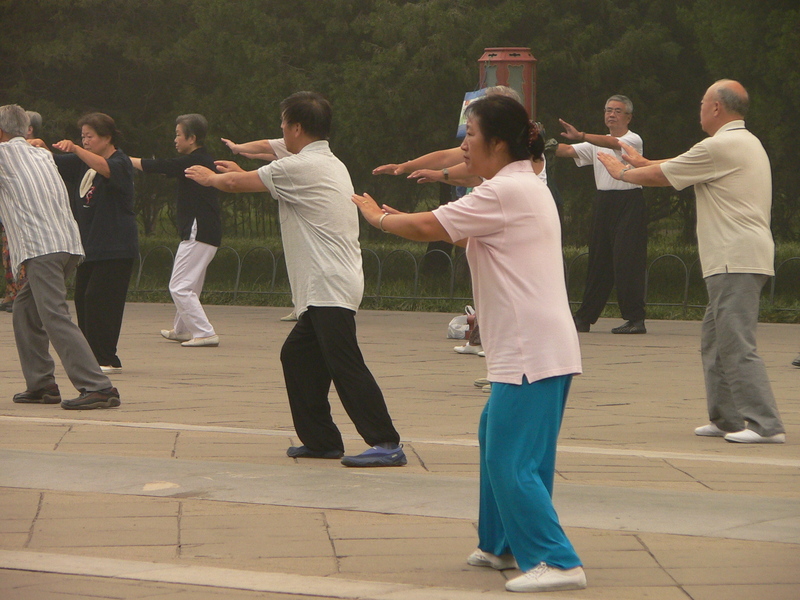 Tai Chi was also shown to have an effect of inflammation, this time at a cellular level. The study showed that this also targeted insomnia in patients. The effects of this were also maintained over a 16 months period. The study concluded that treatments such CBT and regular Tai Chi for inflammation is an effect way for combating it. It also showed both were effective for insomnia. This entry was posted in Uncategorized on December 1, 2015 by Doug Swift. Have they proved the depression nutrition connection? You don’t have to be a doctor or trained Nutritional therapist to know that eating healthy food is good for you. If you eat loads of junk, sweeties and processed foods, you’ll feel slow and lethargic. If you do it long enough you gain, weight get de-motivated and generally gloomy. If you eat healthy foods and your motivated, you’ll have bags of energy. Well that’s the theory anyway. For me this raises two questions, is this actually happening or a placebo for buying from the organic food shop and what actually constitutes as a healthy diet. Just because you bought cakes and chocolate from the health food shop, doesn’t make it healthy. 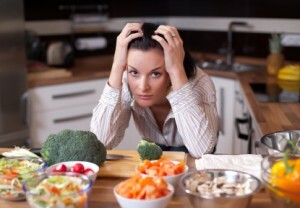 A recent study that involved over 15,000 people found that eating a Mediterranean style diet or other healthy diet comprising of fruit, vegetables, legumes, and nuts and low in processed meats, has been shown there is a depression nutrition connection. This is a big study and the first time such a large scale research project has been conducted with a depression nutrition connection in mind. 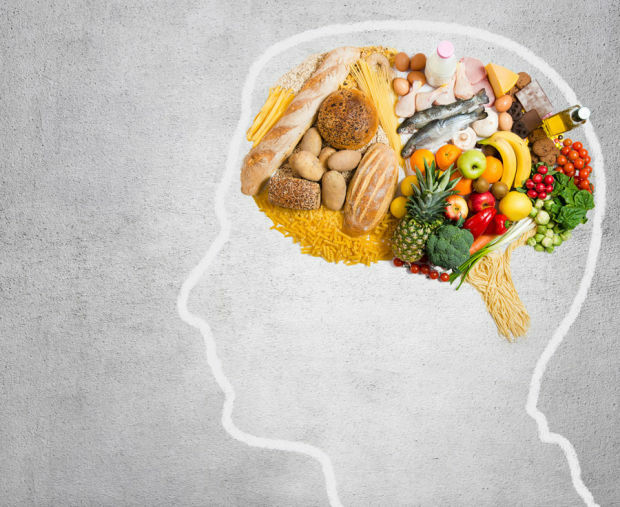 The researchers found that eating foods such as nuts, legumes, fruits and vegetables are rich in omega-3 fatty acids, vitamins and minerals all help with mental stability. Eating foods such as meat and sweets which are heavy in animal fats: saturated and trans fatty acids weren’t good for preventing mental health issues such as depression. One very interesting finding from the research looking at the depression nutrition connection was that there was a tipping point with the strictness of the diet. Once people ‘tipped’ their benefit from the diet plateaued. Which meant that as long as the participant stuck to the diet as a guide and followed it fairly well they benefitted just as much as someone who followed it religiously. People who made some effort but not very strict at all had no benefit, almost as much as someone not doing it at all. Great bit of advice for the superfood fanatics. The above post is reprinted from materials provided by BioMed Central. Note: Materials may be edited for content and length. This entry was posted in Uncategorized on November 1, 2015 by Doug Swift. 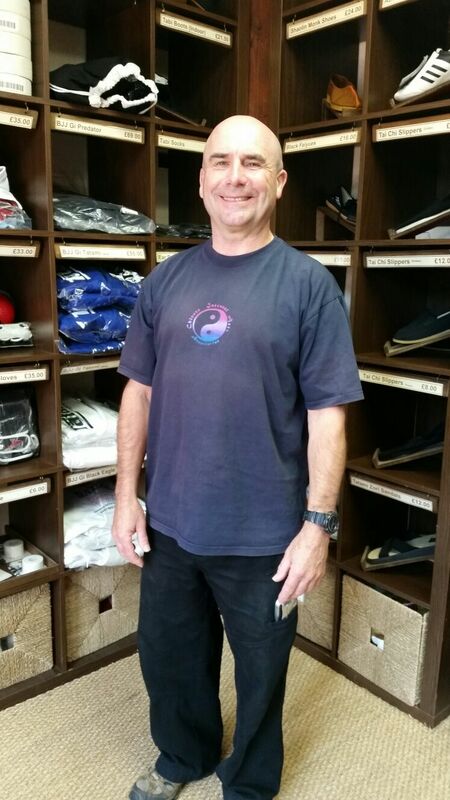 Frank PrngNatasha @ Enso Martial Arts Shop: Frank, thank you very much for coming into Enso Martial Arts and doing an interview for our martial art of the month, Tai Chi. Could we begin with you telling us a little bit about yourself and your background and how and when you started in Tai Chi. : How far do you want to go back? Natasha @ Enso Martial Arts Shop: As far as you can remember. : It all began many years ago when I joined the merchant navy and I went to Japan. I fell in love with the Japanese way of life. When I came back home a few years later I took up karate, Shotokan Karate. I did that for about three or four years and then I decided I wanted to do Tai Chi; and there was very little Tai Chi around it was hidden. Anyway I found a Tai Chi teacher and I took up Tai Chi and have been doing it ever since. So that’s over 25 years plus. Natasha @ Enso Martial Arts Shop: That’s a long time. Have you studied any other martial arts? : In between Shotokan Karate and Tai Chi I’ve experienced some Ba Gua but my staple training is Tai Chi. Natasha @ Enso Martial Arts Shop: Did you find a lot of the skills you learnt in Shotokan transferable or did you have to learn new techniques? : It’s about letting go, I had to let go really, I mean I really enjoyed Shotokan Karate, it’s quite deep stances, very disciplined and super fit; and at that time in my life it was very good, I enjoyed it but I was beginning to sustain injuries and so decided to look for something a bit different, to be healthy and fit but still stay in the martial world. Natasha @ Enso Martial Arts Shop: Do you find that Tai Chi is more suited to a certain type of person or do you think it has something for everyone? : I think Tai Chi is good for everyone….. including you. : I’ve taught from nine year olds and I’ve got a current student, she is 92; and in my experience no matter your age or ability you get something out of Tai Chi. If you are a full on martial artist and your into the applications there is an awful lot in Tai Chi for you. If it’s just for health and well being there is a lot there as well. Natasha @ Enso Martial Arts Shop: I know lineage is quite important in Chinese martial arts, can you tell us a little bit about the lineage of Chen Style Tai Chi in Bristol? : My club yeah. I began many years ago with Ben Milton who teaches in Bristol. I then at some stage decided to go my own way and my new teacher was Karel Koskuba who was teaching in Reading and I have been with him ever since. I’ve been with him probably about 20 years now I think. I do Chen style Tai Chi and Chen Xiao Wang is the head of the Chen family, 19th generation; and Karel Koskuba is one of his disciples. So I train with Karel Koskuba and his wife Heather and I see Chen Xiao Weng when he comes across here to England, I also train with Chen’s son, Chen Ying Jun when he’s over here and I’ve been lucky enough to meet Cheng Bing. I teach Chen style Tai Chi so they are all part of the Chen family linage. Natasha @ Enso Martial Arts Shop: What are your biggest accomplishments and the highs and maybe some of the lows if you have had any? : I don’t know, it’s all been good. You know initially learning a form was pretty amazing, thinking I’ve learnt the form but that’s just the beginning. It’s a bit like getting a black belt in karate, people think you get a black belt, you have made it but that’s just the beginning really. So lots of senses of achievement over the years. Natasha @ Enso Martial Arts Shop: What would you say is the biggest positive influence Tai Chi has had upon you? : I would say knowing myself, not that I know myself, it’s working progress you know. For me martial arts, I regard Tai Chi as my staple diet, but martial arts is about working on yourself. So over the years to take that time out to be present, when your practicing any martial art you have to be present and that’s the best place to be. Natasha @ Enso Martial Arts Shop: If you could give one piece of advice to somebody that is beginning their martial arts journey now, what would it be? : Good question, I would say keep an open mind and walk your own path. Look to people to learn from but don’t become a follower of somebody else, take their knowledge and there skill and apply it to yourself. Natasha @ Enso Martial Arts Shop: Can you tell us about your teaching career? : Well my teaching career, that’s interesting. I think it’s interesting, because for probably 15/20 years I actually taught in my job as a consultant, management consultant and learning development, team development, coaching but at the same time parallel to that I was learning and teaching Tai Chi; and the two paths run along side each other and luckily enough about nine years ago now, I managed to retire from my daytime job and focus on Tai Chi and I’ve been doing that ever since; and I still see my teachers to learn from so it’s ongoing. Natasha @ Enso Martial Arts Shop: What are your aims and goals in and outside of training? Natasha @ Enso Martial Arts Shop: It’s kind of the main goal for everyone. Natasha @ Enso Martial Arts Shop: To finish off, could you tell us about your classes for those interested in starting Tai Chi. : Ok, well to begin with and to be fair there is a lot of Tai Chi in Bristol and there is some good teachers in Bristol as well, so let’s have that anyway. I have several day classes and I also work in association with a company called Link Age, there for the over 55’s, so most of my day classes are designed around the more mature person, and it’s amazing what they get out of it. I really enjoy those classes. My evening classes, and I have a couple of evening classes, are probably more focused, bit more rigorous but I would say come along, look me up on the website www.chentaichibristol.co.uk or as I say, there are plenty of other teachers in Bristol that I regard as good. Natasha @ Enso Martial Arts Shop: Which area do you teach in? : I teach all over Bristol. My evening classes are in Redland, my day classes include St George, Henbury, Shirehampton, Withywood. I can’t think of the rest of them now, there are a few others I think but basically all over Bristol I have classes in the daytime. Natasha @ Enso Martial Arts Shop: Frank thank you so much for your time and talking to Enso Martial Arts. This entry was posted in Uncategorized on October 1, 2015 by Doug Swift. Qi Gong in the West, is very much a series of set movements. Focused heavily with the breath and led by the breath. The set of movements can be an independent exercise or part of a series such as the Ba Duan Jin or Yi Jin Jing. Most movements ten dot be fairly low impact and relaxing. Moving to China, you’d expect to see Qi Gong all over the place. You see plenty of Tai Chi being practiced and on occasion some Kung Fu. Not in classes per se, or classes as we think of in the west but more just people out on the streets, in the parks and with friends whenever wherever. Although mornings and evenings are the main times for practice. So where is the Qi Gong, has it completely disappeared? Well no, but you have to open your eyes to it. – Certainly in the mornings and after work on the evenings you’ll see people out for a stroll facing the wrong direction. They may be walking with friends walking either forwards or backwards and at a leisurely pace. have they gone mad, well maybe not. Research has actually shown walking backwards is three times harder for your brain than walking forwards. It can help with Alzheimer’s and other degenerative brain diseases. Pretty good then. – Hitting yourself with varying degrees of power, from light tapping to full of whacking is very common. Sometimes just on the arms, but over the face, body and legs and certainly the lower back is seen a lot. Standing waiting for the bus, on an airplane, walking down the road, or standing in a queue at the post office. Again is this some form of self punishment. Well again, no. Light tapping and rubbing can help circulation of the blood and help relax the muscles. Whole therapy system have been developed purely on tapping, such as EFT, Emotional Freedom Technique. – Cycling down a tree lined street and you may travel past some bumping into a tree or lamppost. Usually not that hard, but with a bit of vigour, usually the back but sometime the side of the body too. When I was in Fuxing Park, a few months back I got chatting to some Tai Chi guys who did a lot of bumping into each other. “It helps build Qi in the body and makes you strong.” He them proved it by doing knocking arms with my Kung fu instructor. “His arms arms are very hard” said Neil Genge, Uk’s first Shaolin Disciple. – Heard sometimes from afar or across a park, shouting is one of the less common morning rituals which helps waken the body and clear the lungs. Completely crazy, well no. If you think about it, getting the lungs going is what Qi Gong is all about, enriching the body with oxygen and getting the heart pumping. Shouting is a greta way to do this. – I apologise to the super squeamish, but the Chinese Art of Hacking is a common and widespread practice across all ages. I hope it never catches on in the West and it is something that most foreigners find difficult to get used to. Put that aside and the ‘clearing of the lungs’ has long been regarded a great way get more ‘Qi” into the body and make the lungs strong. Enough said on that the better. – Arm Swinging is the last commonly seen people’s Qi Gong Exercise in Modern China. The holding of arms outstretch at any angle can fall into this category too. Also seen regularly in Bagua Zhang and Tai Chi. Arms signing will get the blood moving in the limbs and the heart pumping, without huge strain place upon the body. Try it for yourself. So that’s the list. Nothing fancy and you don’t need a lesson or years of practice to become competent, it’s purely for health and benefits can be found among it. Ian is a state registered Physiotherapist but also holds an additional degree in Sport and Exercise Science (human biomechanics) as well advanced diplomas in Sports Therapy and Sports Massage. He has been treating for 25 years and is one of only a handful of people in the country registered to all four professions. In addition to treating he also teaches and assesses for industry providers. His approach is rather unique in that over the years his four professions have gradually become increasingly entwined to the point that he instinctively blends all four disciplines together within assessments and treatments. Whilst being extremely holistic he favours a heavy leaning towards physical science, dealing with the established ways in which the of the bio mechanics of the body relate to the environmental forces that act upon it. The result is an extremely in depth but often surprisingly straightforward explanation of why an injury or pain has occurred in the first place and how to not only treat it but prevent the issue from reoccurring. In addition, specialist areas such as gait analysis, bio mechanical assessment and integrated bike fitting simply form part of standard assessments and treatments rather than expensive add on’s. Ian treats the entire spectrum from life’s everyday aches and pains and postural issues and specialises in sports injuries from recreational to serious athletes. His time and in his profession and level of training means he also looks after number of G.B., Comonwealth and Olympic athletes both past and present. Copyright © Enso Healing Rooms 2019.